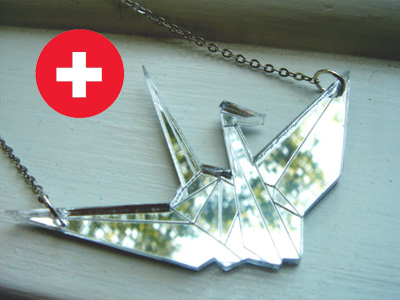 KidViskous is donating all proceeds of our 1,000 Cranes necklace listing on Etsy to the Red Cross for disaster relief. Japanese legend says if one were to fold 1,000 origami cranes, a real crane will grant that person a wish of health or long life. While we may not have 1,000 cranes, we can still contribute to the health, well-being and wishes of the Japanese people affected by the tragedies that have befallen their country. Visit our charity listing at our KidViskous Incubator Shop on Etsy.